eBay's only Certified Provider for Design. With over 12 years of experience and over 360,000 users, Frooition has a proven track record of increasing sales for eBay sellers. Compliant with all eBay's listing policies. Frooition design is active content free, that means are apps are compliant with eBay's policies and are secure, quick to load and fully mobile compatible. Our promotion gallery is totally free to use. Our promotions gallery Froo! Cross Sell is completely free, with no limits to how many listings you place it in. Try out any of our apps free for 30 days. 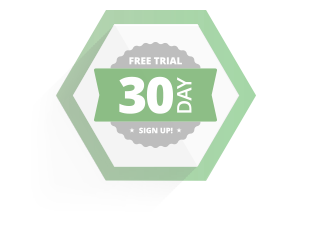 It's completely free to sign up, you then get 30 days free use to evalute any or all of our apps. And remember our promo gallery is completely free all the time. World leading eBay branding helping you to stay ahead of your competition. Supported with technology to make design application easy. 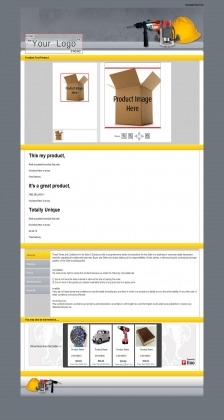 Apply design directly to your eBay product listings. Over 6000 responsive designs to choose from, all active content free and mobile responsive. Enhance your listings with cross promotion that will upsell all your other products available for purchase. It active content free and ready for mobile, its also 100% free! Bulk amend and update your live eBay listings, keeping your content up to date. Promote your products to social networks, get more exposure and drive more sales. Providing design for over 360,000 eBay sellers. 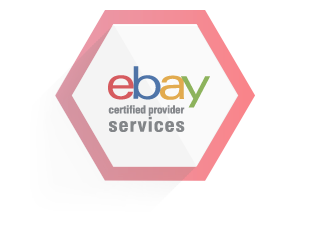 Frooition is eBay's only certified provider design company. Froo Apps is from Frooition who have provided creative services and productivity apps for over 360,000 customers worldwide, we have been established for over 12 years and have provided thousands of designs across many platforms. Frooition are a Global company with offices in the UK and US we service customers all over the globe and work across multiple timezones. All of Frooition's designs and support are completed in-house, we never outsource. All of our designers are professionally trained with many years experience designing for ecommerce customers. Frooition use cutting edge technology and keep up to date with the latest creative trends to ensure we provide a premium service for our customers. We also keep informed of all things ecommerce to ensure we are constantly ahead of the curve. In addition, all of Frooition's eBay services are active content free and mobile responsive, ensuring your buyer experience is the fastest it can be across any device. All Frooition services, including our responsive website and eBay services, have a mobile commerce element available to ensure our designs are beautiful on every device. Available to sellers on all eBay international sites. Our most popular eBay app and it's completely FREE! This great app will allow you to add an animated item gallery to all of your eBay product listings. There's no question, when you cross promote your items you increase your sales. We've developed this fantastic FREE App so you can cross promote your eBay items within live listings. You'll be able to promote up to 52 eBay items in the animated banner, adjust the animation speed and choose where you would like it to appear in your listings to further increase your customer engagement and sales! Responsive design, view on any device. It's a completely FREE eBay App! To See Full Animated Previews Sign Up for Free. Online selling requires confidence. The more confident the prospective buyer, the more willing they are to buy your items. This great eBay app creates massive confidence in your prospective purchases by inspiring trust through using clever design. Our eBay design templates will differentiate you from your competitors, enhance your customers buying experience and increase your sales! 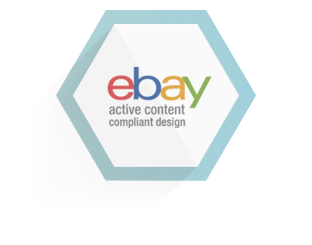 All our designs are active content free, and meet eBay's latest listing policies. This ensures that your eBay listings load quickly, safely and viewed to the optimum on any device. Reduce seller questions and much more! To See Full Gallery Sign Up for Free. Designs Optimized for eBay Mobile & Active Content Free! Designed for fast loading, engineered for sales. This brilliant FREE eBay App will promote your eBay items on Facebook and Twitter! 'Froo! Smart Social' helps you to promote your eBay items on the World's largest social networks, Facebook and Twitter. By sending short punchy messages to your fans and followers you will increase your product exposure, eBay listing traffic and increase your sales! Not only does this great App increase your eBay product exposure, but by advertising your deals on Facebook and Twitter, you have the exciting product prospect of going viral! Froo! Bulk revision Lite is a great eBay application that allows you to bulk revise virtually anything on a group of your product listings, saving you time and money. You can use this great eBay App to bulk amend your product listings for new eBay product requirements and future eBay Product Updates. This eBay app will save you both time and money by quickly updating a group of product listings, opposed to updating each individually. Bulk update and optimise your listings for maximum visitor engagement and much more! A global content delivery network, with distributed content throughout the world, delivery high transfer speeds to end users with low latency. Our template designs are fully optimized for use on mobile devices! With over 30% of all eBay sales being transacted through mobile devices, ensure that you products are being presented in the best possible way no matter what device they are being viewed on. Since the summer of 2016 all Frooition design services are active content free. 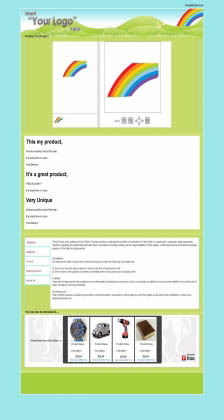 As an eBay certified provider Frooition where the first design company to offer active content free design. Along with the reassurance of being compliant with eBay's listing policies, our active content free design will display in super fast time to your potential buyers, and will be visible across any device exposing your listings to as many buyers as possible. Used by eBay sellers across the world to build buyer confidence and help you grow your eBay sales. 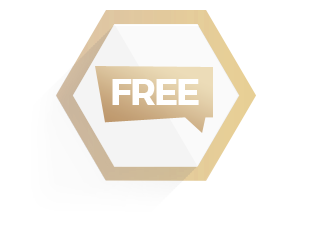 It's free to sign up to froo apps, you then get 30 days free use to evaluate any or all of the apps available. We even have apps that remain free after your trial expires. Sign up now, its free! Grow your brand on the world's most successful marketplace. Frooition are the only certified provider of eBay design. For the past ten years, we have been helping sellers of all sizes to build their brand on eBay. We work closely with eBay, to create design solutions that meet policy updates. 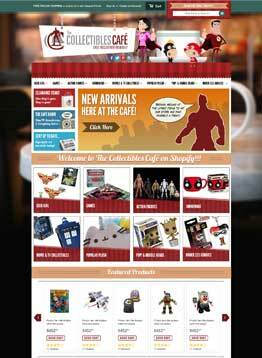 All Frooition eBay designs are fully responsive and active content compliant. Supported by our unique software, it is simple to step up your eBay store performance, managing listings and making changes in a few easy clicks. For businesses who want an attractive website that customers can easily navigate and buy from. 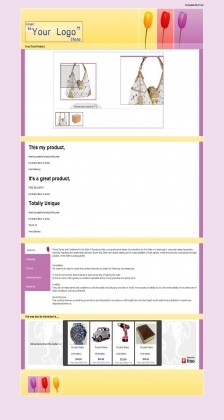 Frooition Bigcommerce theme designs are completely bespoke, built to be your perfect sales environment. Our Bigcommerce theme design service provides fully responsive design, simple to use and built on one of the world's most robust hosted website platforms. For businesses who already have an eBay store design, we can tailor Bigcommerce designs to correspond; building a uniformed brand presence online. Increasing customer trust. Premium looks. Perfect simplicity in functioning. 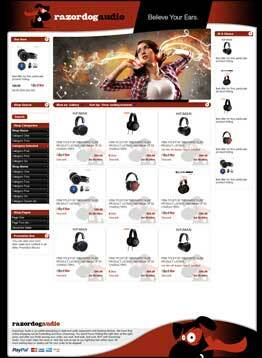 For businesses who want an attractive website that customers can easily navigate and buy from. 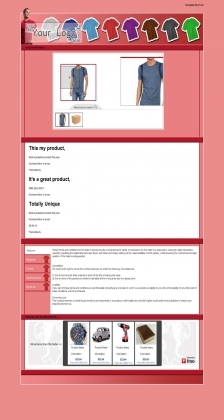 Our Shopify design service provides fully responsive design. Simple to use and built on one of the world's most flexible, hosted website platforms. Effortlessly manage and alter your store throughout the year. For businesses who have an existing eBay design, Shopify can be tailored to correspond, building a uniform brand presence online. Increasing customer trust. Help with removing Active Content. eBay are stopping the use of Active Content in listing descriptions from Spring 2017. 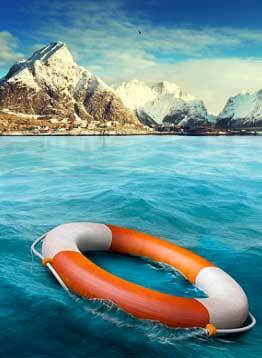 Sellers need to remove this content from their listings to avoid disruption to their sales. This means a lot of time consuming manual HTML work to strip and clean listings. Frooition can clean your eBay descriptions programmatically for a fraction of the manual cost. We can help you even if you aren't a Frooition Design customer. No listing down time. Fast. Cost effective.